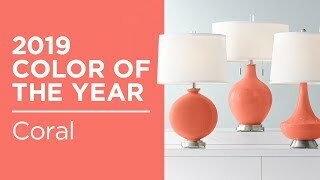 A plain drum shade and brushed nickel finish completes the look of this designer Mellow Coral gourd table lamp. 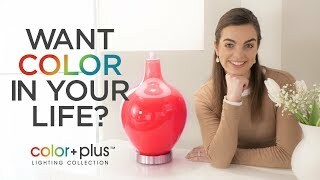 Bring exquisite style and designer color home with the Toby Color + Plus™ table lamp in beautiful Mellow Coral. The design is hand-crafted by experienced artisans in California, and is completed by a brushed nickel finish base and pull chains. A plain drum shade sits on top, drawing the look together in contemporary style. Lamp base U.S. Patent # 8,899,798. Designer Mellow Coral base color. Brushed nickel finish accents. White drum lamp shade.